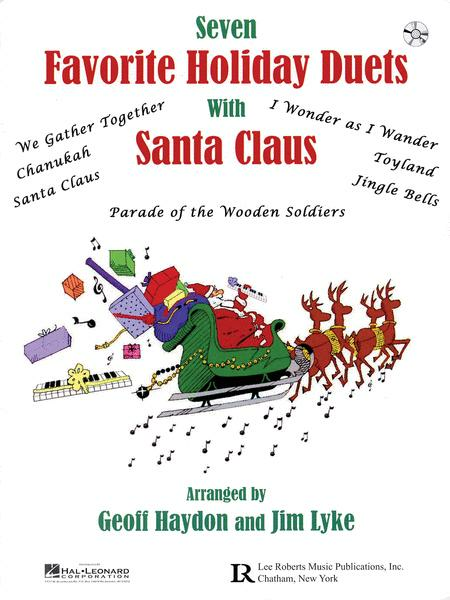 Composed by Geoffrey Haydon & James Lyke. Pace Piano Education. Duet, Holiday, Christmas. Softcover with CD. 32 pages. Published by Lee Roberts Music (HL.372399). ISBN 0634093363. 9x12 inches. Geoff Haydon & James Lyke. Seven favorite holiday duets. CD includes both audio and midi files, so that tempo, key, etc. may be changed.